In her more than fifteen years as an airline flight attendant, Heather Poole has seen it all. She's witnessed all manner of bad behavior at 35,000 feet and knows what it takes for a traveler to become the most hated passenger onboard. She's slept in flight attendant crashpads in "Crew Gardens," Queens—sharing small bedrooms crammed with bunk beds with a parade of attractive women who come and go at all hours, prompting suspicious neighbors to jump to the very worst conclusions. She's watched passengers and coworkers alike escorted off the planes by police. She can tell you why it's a bad idea to fall for a pilot but can be a very good one (in her case) to date a business-class passenger. Heather knows everything about flying in a post-9/11 world—and she knows what goes on behind the scenes, things the passengers would never dream. Heather's true stories in Cruising Attitude are surprising, hilarious, sometimes outrageously incredible—the very juiciest of "galley gossip" delightfully intermingled with the eye-opening, unforgettable chronicle of her fascinating life in the sky. 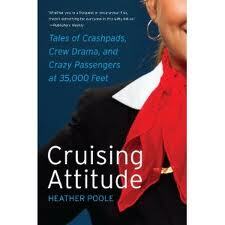 My Review: I really liked Cruising Attitude: Tales of Crashpads, Crew Drama, and Crazy Passengers at 35,000 Feet. I enjoy reading memoirs that have humor in every chapter. Heather Poole got a lot of laughs and gasps out of me. I so wanted to be a flight attendant (stewardess during my growing up years). I am not really sure what happened to that dream....I am a CPA. How opposite it that. My BFF from high school did grow up to become a flight attendant. I can't wait to surprise her with a copy of Cruising Attitude. My favorite chapters (I have two that I can't decide which I like better) are Flying Freak Show and I'll Never Quit!! Flying Freak Show is just too funny. This chapter goes into a lot of crazy things that people do. I don't know how Heather and other flight attendants put up with it all. All the celebrities "weird" flying behavior. Heather also discusses how her mother became a flight attendant a few years later and the two would fly/work together. Hilarious! In I'll Never Quit!! I loved her story of working for Mark Cuban on his private plane. I will just say.....wow! The person Heather encounters with a "gift" and tells her about her future, is something I wish would happen to me. Any of you with "the gift" out there....contact me. I want to know more about my future! Last Two Sentences: "I'm still flying-and the stories just keep getting better, like the elderly woman in business class who yelled at me for talking too loudly to another passenger, then asking me to help her get her bra on later in flight, and then-well. You'll have to read about that in the next book!" YEAH! 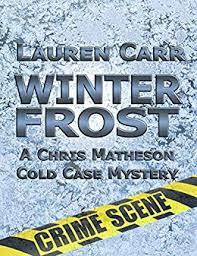 Heather has another book coming out - sign me up! 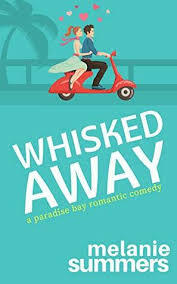 Meet the Author: Heather Poole has been published in The Best Women’s Travel Writing 2010. 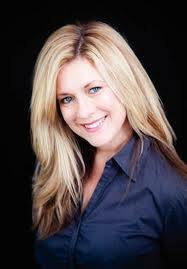 Her regular online column, “Galley Gossip: Confessions from the Jumpseat with Heather Poole,” has received more than two million views and is featured on AOL’s award-winning travel website, Gadling.com. Friday, March 30th: Book Club Classics! Giveaway: I am giving away one copy of Cruising Attitude. All you need to you is complete the form below. You must be a follower of Seaside Book Nook to win. Contest ends March 15th at midnight (EST). I can't believe she worked with her mom - crazy! Sounds like this was a fun read. Glad you enjoyed it! I don't know how Heather and other flight attendants put up with the crazy behavior either! What a fun book! I can only imagine the crazy things flight attendants see and experience. This sounds fascinating!